SUNBURY, Ohio (Oct. 26, 2018) — U-Haul Company of Massachusetts and Ohio, Inc. is pleased to announce that MJ’s Drive Thru and Pizza Shop has signed on as a U-Haul neighborhood dealer to serve the Sunbury community. 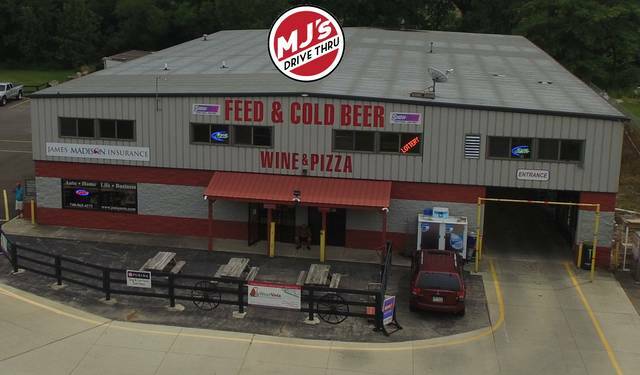 MJ’s Drive Thru and Pizza Shop at 3866 SR 3 will offer U-Haul trucks, trailers, moving supplies and in-store pick-up for boxes. Normal business hours are 9 a.m.-9 p.m. Monday-Thursday and 9 a.m.-10 p.m. Friday-Saturday. Reserve U-Haul products at this dealer location by calling 740-936-4006 or visiting https://www.uhaul.com/Locations/Truck-Rentals-near-Sunbury-OH-43074/030548/ today. MJ’s Drive Thru and Pizza Shop owner Fadi Hijazen is proud to team with the industry leader in do-it-yourself moving and self-storage to better meet the demands of Delaware County. U-Haul and MJ’s Drive Thru and Pizza Shop are striving to benefit the environment through sustainability initiatives. Truck sharing is a core U-Haul sustainability business practice that allows individuals to access a fleet of trucks that is larger than what they could access on an individual basis. MJ’s Drive Thru and Pizza Shop is a great place to become U-Haul Famous. Take your picture in front of a U-Haul product, send it in and your face could land on the side of a U-Haul truck. Upload your photo through Instagram using #uhaulfamous, or go to www.uhaulfamous.com to submit photos and learn more.